One of the things you should ask a plumber you are thinking of hiring is how do they estimate the cost of projects similar to yours. The reason why you want to know this is because you want to have a rough idea of what they actually charge you for. For example, plumbers will base their prices on the materials they use, how difficult the project is, as well as how long it will take to complete the job. A plumber may also consider any unforeseen problems while working on your project. 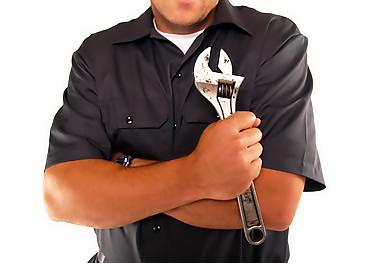 You should ask a plumber how long it will take approximately take to complete your plumbing service. The reason why you should ask this question is because some plumbers may be able to complete the project faster than other plumbers. However, keep in mind that some plumbers may charge more if they are able to complete the project in a relatively short amount of time. Most plumbers will have examples of what they have done for previous clients right on their websites, but if they don’t, then you should ask if they can provide you with a few examples. This will give you an idea of what the end result of their work is typically like. However, keep in mind that some plumbers may not want to reveal their previous clients’ numbers or addresses, so don’t ask for that information. Asking to see examples of their work is good enough and most plumbers will be more than happy to provide you with some examples of work they have done. You should ask a plumber if you will be able to use your room or rooms while they are working. Sometimes certain rooms are not accessible while they are working. Sometimes a plumber will tell you it’s ok to use the room they are working in at certain hours of the day or night. Perhaps the most important question of all relates to licensing, bonding and insurance. Before you hire a plumber, make sure to ask if they have proper licensing, bonding and insurance. If a plumber does not have proper licensing, nor if they are bonded or insured, then this can mean trouble if they work on your project. If they do not have insurance and something goes wrong on the job, then you could be left picking up the costs associated with damages caused to your property. Always make sure a plumber is insured and licensed. Make sure to ask all of the above questions because knowing the answer to them can help you find the perfect plumber. For your residential or commercial plumbing needs call us today.